Before we can get into how we can design human behaviors, being familiar with certain aspects of Cognitive Sciences will enable us to learn how Human Behaviors are formed. While the designs are perceived by our senses (touch, vision, sound), it’s the human brain that processes this information. Now, the way this information is processed goes hand in hand with the existing human behavioral patterns. This is where, we as designers, have the responsibility to study and understand the way the human brain is wired so that we can craft pleasurable experiences for our users. This is Part 1 of a series of blog posts that aims to give a peak into some quirky Cognitive Biases, which could be banked on to improve user engagement, drive more sales and finally, change human behavior. Cognitive Bias & Human Behavior: How are they related? According to Kendra Cherry, the author of The Everything Psychology Book, Cognitive Bias is a systematic error in thinking that affects the decisions and judgments that people make. For instance, let’s say you’re shopping for a pre-owned car. You decide on which make and year you’re looking for and start looking around to find one. While researching, you learn that the average price for such a car to be a certain value. You’ll now think that any value below the average price is a good deal and probably ignore looking for better deals. Although it’s postulated that the Human Brain operates at 1 exaFLOP, which is equivalent to a billion calculations per second, it has limited resources. Due to the sheer complexity of the world and amount of information that the brain has to process, cognitive biases are the outcome of the brain’s attempt to simplify Information Processing. Now, how can the cognitive biases influence human behavior? When the several day to day decisions that we make are based on the cognitive biases, they greatly influence the way we behave, thus influencing human behaviors. We’ll be looking at two Cognitive Biases that have successfully been banked on by quite a few online platforms to change human behavior and ultimately increase their user engagement and retention. For instance, at the time of writing this article the cost of 100 grams of gold: ~ $4333. Whereas the cost of 100 grams of silver: ~ $55. Gold, being extremely limited in quantity by nature, is approximately 81 times more expensive than silver. This is another reason why gold is more sought after than silver and people would want to acquire more gold than silver. How is Scarcity Bias applied to drive more sales? If you’ve impulsively bought something online if it said “Only Limited Quantity” or “Sale ends tonight! Buy right now”, you’ve fallen prey to a clever use of the Scarcity Bias. There are several ways how e-commerce, hotel and ticketing platforms apply this tactic to drive sales. One such example is “Lightning Deals” on Amazon. This creates a sense of time constrained scarcity which has the potential to drive more sales but isn’t entirely emphatic to the user from a UX point of view. If you notice, they say that the Promotion Sale ends on Feb 25. This creates a similar kind of time constrained scarcity as Amazon but is way more toned down as you have a couple of days rather than a few hours to decide. How does this influence human behavior? Frequent online shoppers may find themselves impulsively buying products during the “Lightning Deals” or “Promotion Sale” period. When they’re exposed to such promotions for a prolonged period of time, their brains may become conditioned to looking exclusively for such deals, thus changing their shopping behavior all together. Honestly, I have fallen prey for these Promotion Sales on Banggood a few times to only realize that the prices remain the same even after the sale has ended. It’s one thing to apply scarcity bias to improve sales and another to coerce people. Hence, it’s the moral responsibility of the business to strike a balance between driving sales and not being honest with their customers. What’s peculiar is that the mice that were given random rewards pressed the lever compulsively than the ones that were given the same reward every time. Similarly, humans (being genetically identical to mice) would expect a different reward when the same action is performed. This is how slot machines became extremely famous amongst gamblers. Like the mice, they pull the lever hoping to get a big reward. Snapchat: The new digital drug. Snapstreaks on Snapchat. One small icon with a number count thats driving teens (and other users alike) back to SnapChat every single day. According to SnapChat Support, you’ll see a  icon when you and your friend are on a Snapstreak: you have Snapped each other (not chatted) within 24 hours for more than three consecutive days. The number next to the  tells you how many days you’ve been on a Snapstreak. 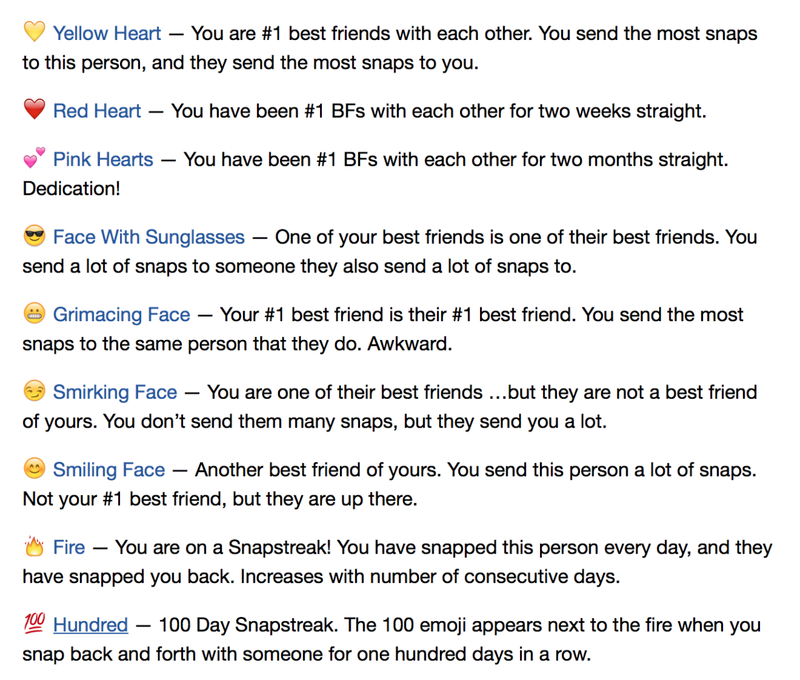 Snapchat has devised a clever way to reward users with emojis whenever you continue to increase your Snapstreaks or keep snapping your friends. As the users wouldn’t know when each of these emojis will pop out, you would keep Snapping your friends until the emoji changes into something else. The emojis that you see here are like the random rewards that kept the mice pulling the lever in Skinner’s Box. Snapchat Stories vs Instagram Stories: Who is doing it better? Instagram Stories which was released on 2nd August 2016 was touted to be a rip off from Snapchat. Although both of them are based on the same idea, Instagram Stories has been killing Snapchat since the day they launched, according the 2017 statistics. There could be several reasons behind this with one of the major reason being Instagram is owned by Facebook, which has 2.2 billion active users. Yet, Snapchat has been driving teenagers crazy on the platform after introducing Snapstreaks. That one small number next to the icon is the major difference between Snapchat Stories and Instagram Stories. Snapchat has been successful in hijacking the Cognitive Bias of Variable Rewards to keep heaps on teenagers hooked to its platform. The human brain is satisfied with predictability and craves randomness like the mice in the Skinner Box. While conducting User Research, try to discover aspects of user behavior that could be biased by providing Variable Rewards. Another app that’s doing an incredible job at hijacking this bias is Tez. Every time you use Tez to transfer money to a fellow Tez user, you receive a Scratch Card which will reward you between ₹10 and ₹1000. 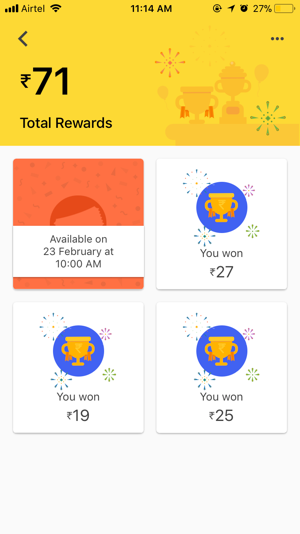 Tez, being a product from Google has the resources to keep users engaged by providing them with real money whenever they complete a transaction. Such a resource pile wouldn’t be always possible. 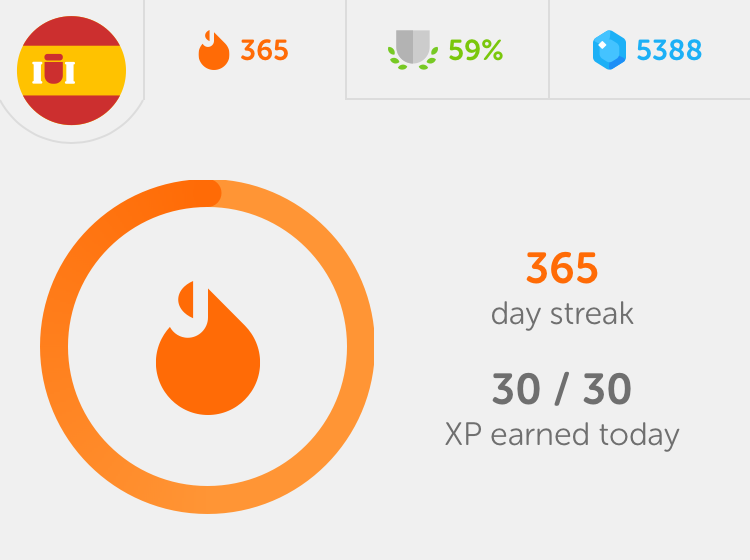 Duolingo, a platform to learn any language (literally) for free has employed a similar persuasion technique as Snapchat that ensures that users will keep working on their learning streak, which in turn engages and retains users. Although incorporating an extremely well designed persuasion technique requires a ton of effort and resources, it will pay off in terms of retaining and engaging users on the long run if done right with proper user research. This is the end of Part 1 of Designing Human Behaviors. Part 2 will follow soon, so stay tuned!